This attractive, solid Oak Photo Frame is the perfect way to display your cherished photos with a personal message. Perfect gift for Valentine's Day, Anniversary, Weddings or just to say how much you love them. The frame will hold a 4" x 6" (10 x 15cm) photo. 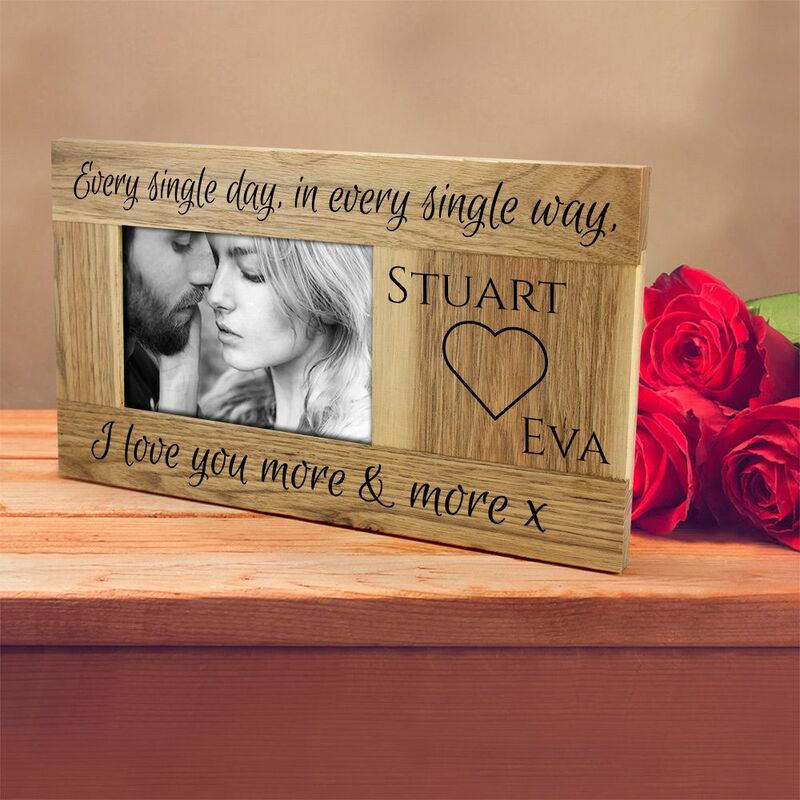 Our fabulous photo frames are made from the finest quality oak and will be a valuable addition to your home for years to come. The frame is expertly engraved in our studio and features a stand at the back for displaying proudly in your home or office. All our frames are personalised especially for you.